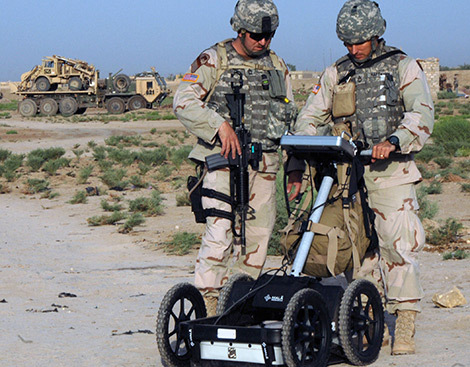 The GPR technology has proven to be a valuable method for various applications for military and police departments all over the world. It reduces time for searching a site and also for unnecessary excavation as GPR is non-destructive. Often, is the GPR technology used in combination with other methods, but GPR can provide an expertise in the field that other methods can’t. MALÅ GPR Systems are frequently used by military and police when securing areas from unwanted objects, structures or materials. Whether the task is to investigate crime scenes, buried ammunition, finding secret rooms in cellars or tunnels, the MALÅ GPR offers a robust, reliable and cost-effective solution.